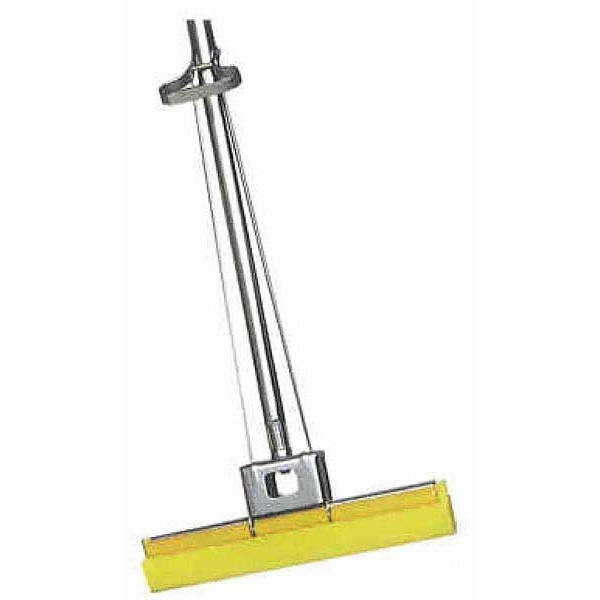 Speedy Mop™ is constructed with plated steel components to withstand rigorous use. Sponge head is genuine cellulose, 5 times more absorbent than foam rubber. Pure vinyl wringer rollers squeeze dirt and water out of the sponge head. Wringer is located half way up the steel mop handle for easy wringing with no bending. Power strip refill has an abrasive strip attached for heavy duty scrubbing. Refill heads available.